Superfert Fertilizer and Ferts, Seed & Grain (FSG) have been supporters of the local Rose of Sharon Welfare Organisation for some time now. 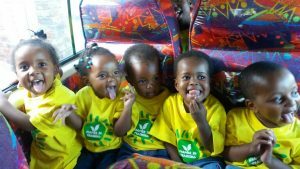 The organisation operates three orphanages and a High School for orphans in Harare and Ruwa. At present Rose of Sharon is home to approximately 80 orphans aged between 6 months – 18 years. Superfert not only donates fertilizer to the organisation, but also provides agronomy lessons to the children. 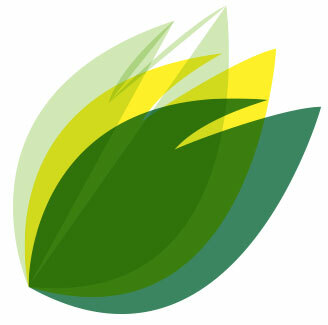 We are passionate about this cause as we believe that a sound understanding of agronomy and farming is essential to a healthy and happy future for Zimbabwe’s children. 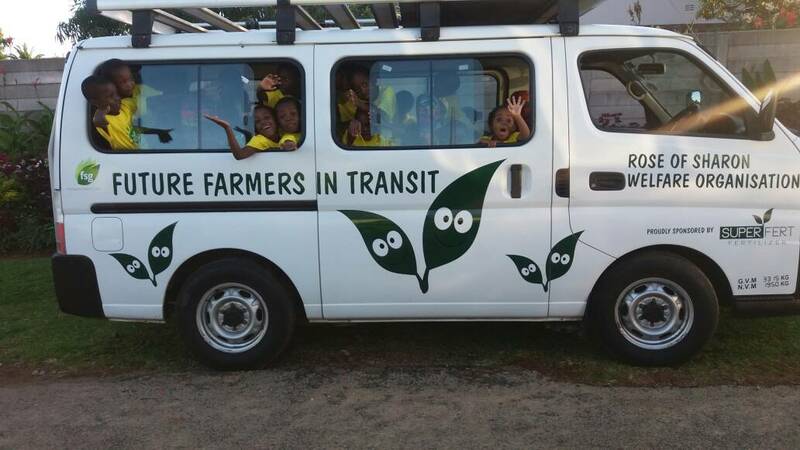 Our agronomists spend time in the fields teaching the children about the best agronomy and fertiliser practices to achieve farming success. 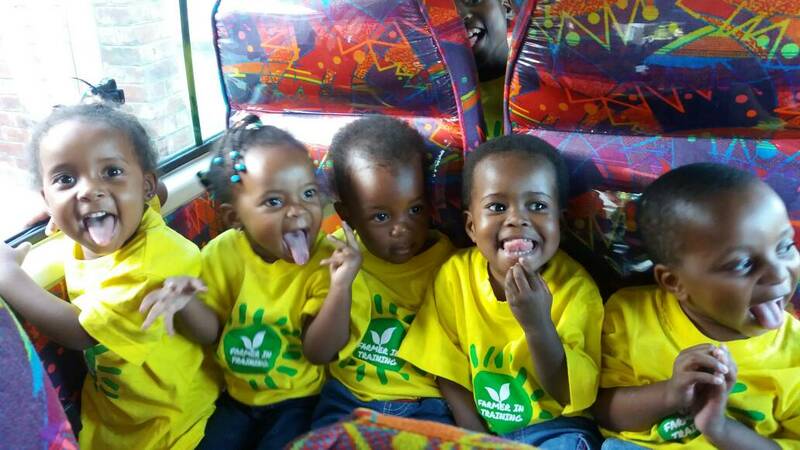 With this special group of children we have a whole new generation of future farmers in training! On Christmas day 2017 we had a special surprise for Rose of Sharon director Dr Fatima Maruta, when we handed her the keys to a new minibus for the orphans. Both She and the children were simply overjoyed by the new addition to Rose of Sharon! 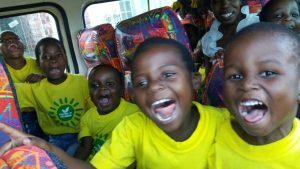 With many of the children being ill, the bus will be a huge relief in providing transport to the various clinic appointments they need on a weekly basis. This was truly the best day of the festive season for all of us at Superfert, and we look forward to more days like this one in the future. 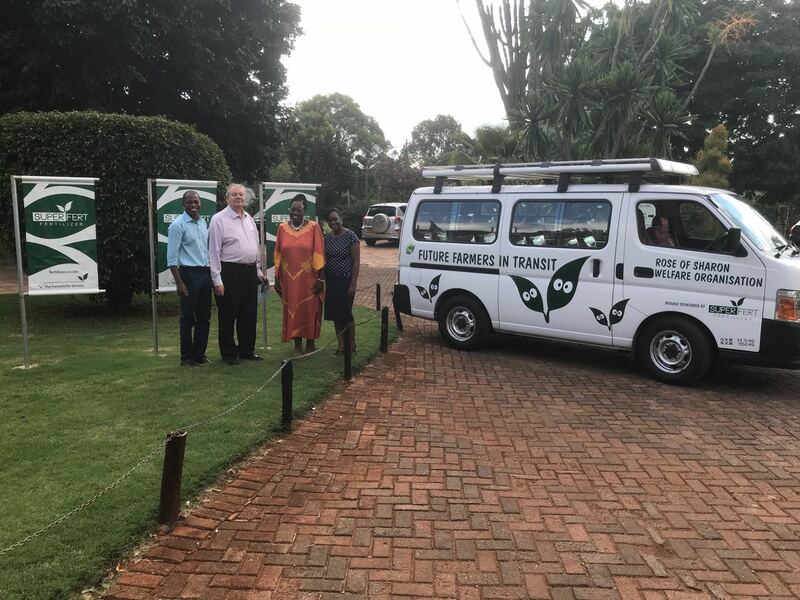 Rose of Sharon founder, Dr Fatima Maruta, receives a new minibus at the FSG Superfert offices in Harare. The children try out their new minibus.